After offering us a preview as a prototype at the last EICMA in Milan, today BMW officially presented its expected BMW HP4 Race, the first superbike of the German factory that has a chassis made entirely of carbon fiber, a Motorcycle that we could already see a few days ago in the Circuit of Almería during a private photo session. Starting with its most characteristic element, its carbon fiber chassis, BMW has managed to reduce its weight to 7.8 kilos, something that also goes to the wheels, made in the same material, saving a 30% of weight in comparison with the aluminum wheels of the S1000RR. 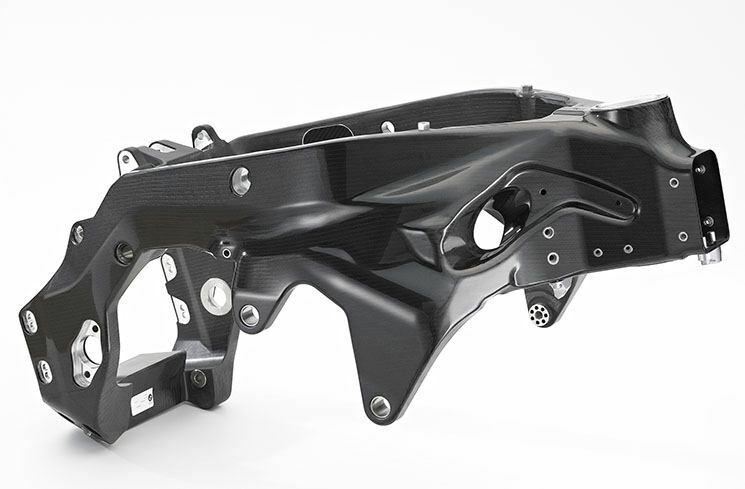 The use of the carbon fiber does not end here, since both the fairing and the subframe (adjustable in three positions) also use this material in its construction; The rear swingarm, however, is made of light materials, with milled parts, identical to the one used in the WSBK. 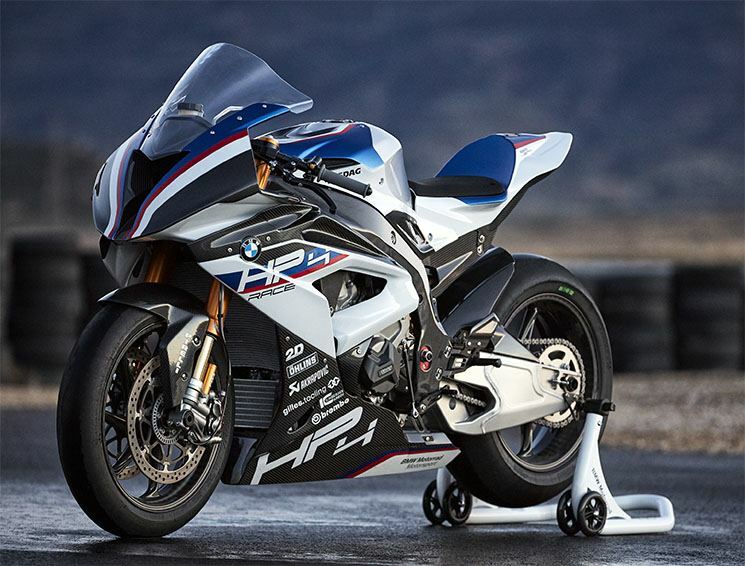 In this way, BMW announces a final weight of only 171 kilos (with full tank) for its BMW HP4 Race, lighter even than a World Superbike bike (168 kilos dry) and not too far from the weight of a MotoGP ( 158 kilos). 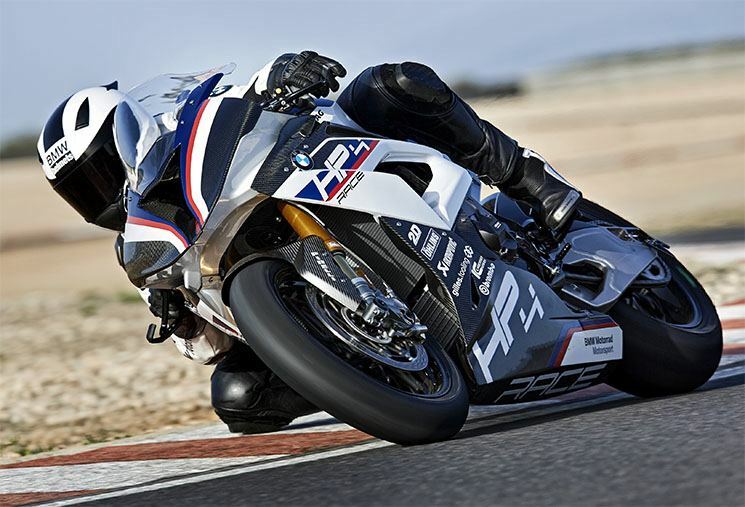 At the level of equipment, the BMW HP4 Race is a purely racing bike. 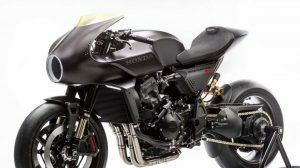 The front has an inverted fork Öhlins FGR 300 that works together with a rear shock TTX36 GP, the same components used by BMW in the WSBK. The brake calipers are also in competition, a Brembo GP RR monobloc with titanium-coated bonnets, coupled to T-Type Racing 320mm and 6.75mm thick steel discs. 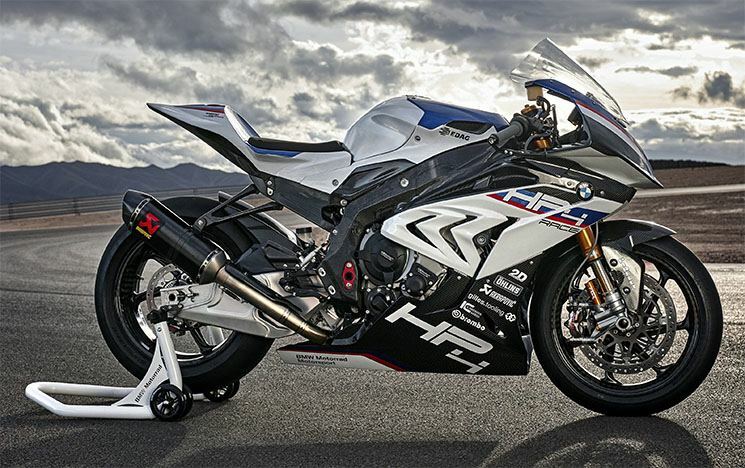 The engine of this BMW HP4 Race also deserves its own section. 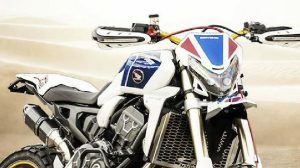 Starting from the 999 cc tetracyclical of the S1000RR (199 hp), and always respecting its diameter and stroke, BMW has raised its power up to 215 hp at 13,900 rpm thanks to the use of a new electronics, new camshaft, a line of Complete exhaust 4-2-1 manufactured in titanium by Akrapovic and a reduction of the internal frictions of the engine. 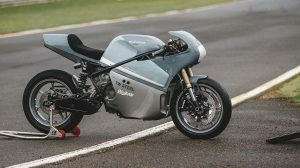 The torque also grows up to 120 Nm at 10,000 rpm (before 113 Nm at 10,500 rpm), and allows a maximum overrun of 14,500 rpm (300 rpm more than the S1000RR). 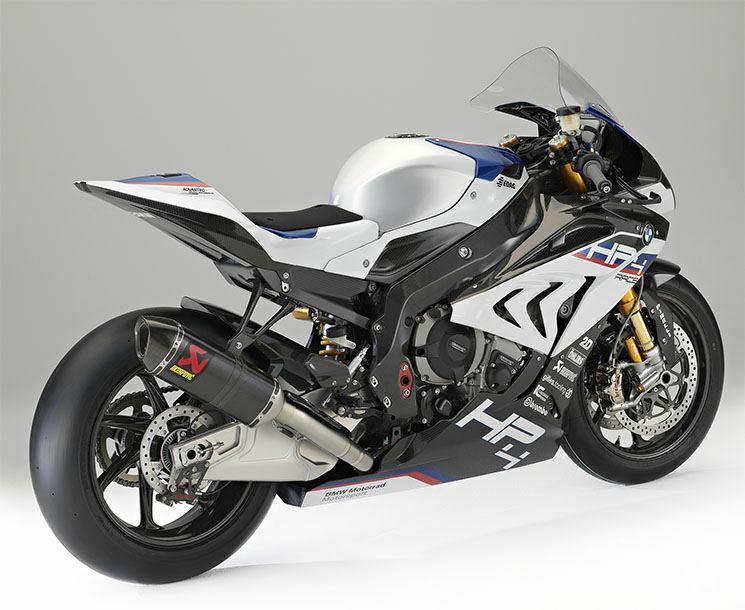 The engine of the BMW HP4 Race features new intake and exhaust camshafts, plus an optimized airbox and larger intake tubes. The cylinder liners on top of the crankcase are honed and an optimized HIP (hot isostatic pressing) material in order to reduce friction losses. The pistons and connecting rods used in the new BMW HP4 RACE are selected according to their weight. In this way differences between the oscillating masses of the four cylinders are avoided. The modification of the masses is compensated by means of a fine balanced crankshaft. The crankshaft weighs approximately 200 grams less to satisfy the demands that arise in the races, especially the spontaneous rise of the revolutions. The gearbox of this BMW HP4 Race is new. BMW has opted for a box of closer relationships aimed at its use in circuit. The ratio of the first and second gear is longer, while the fourth, fifth and sixth gear ratio is shorter, but without changing the final primary ratio. BMW offers several sprockets and sprockets to individually adapt the secondary ratio to the tracks of different circuits. 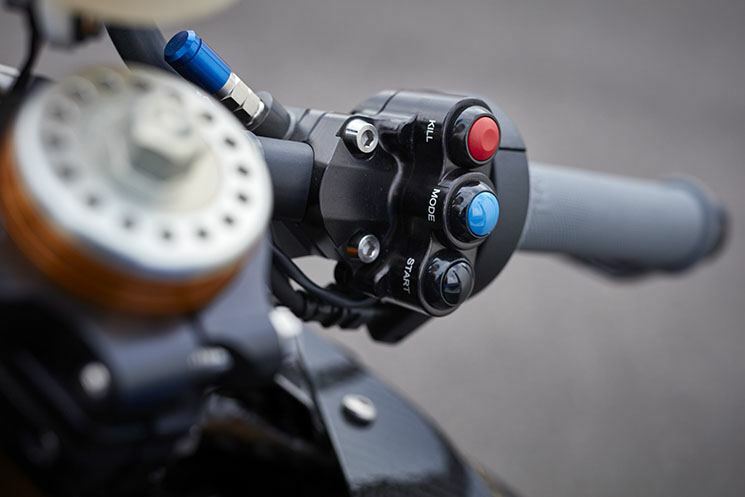 In addition, the BMW HP4 Race comes standard with inverted change and assistant Pro HP, that is to say, a semiautomatic change that allows to raise and lower gears without needing to tighten the handle of clutch. 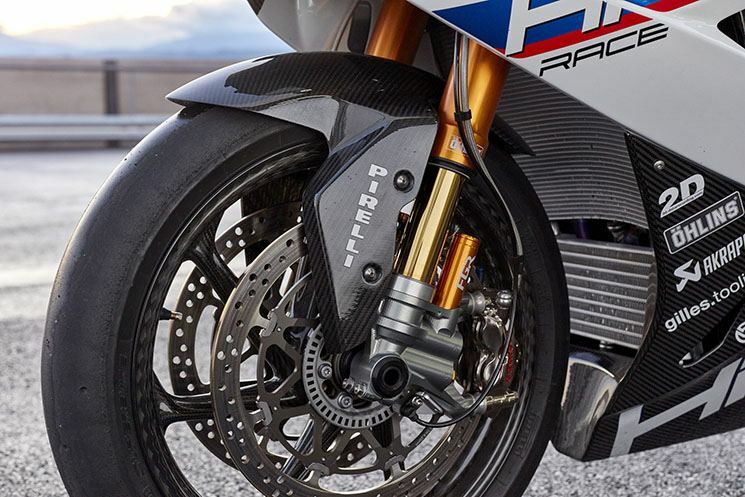 In the electronics and telemetry section, the BMW HP4 Race features seven-level DTC dynamic traction control, EBR brakes with seven other levels and anti-wheelie. It also incorporates an assistant of exit or launch control to facilitate the exits in race, besides pit lane limiter not to exceed the maximum speed in the pit lane. 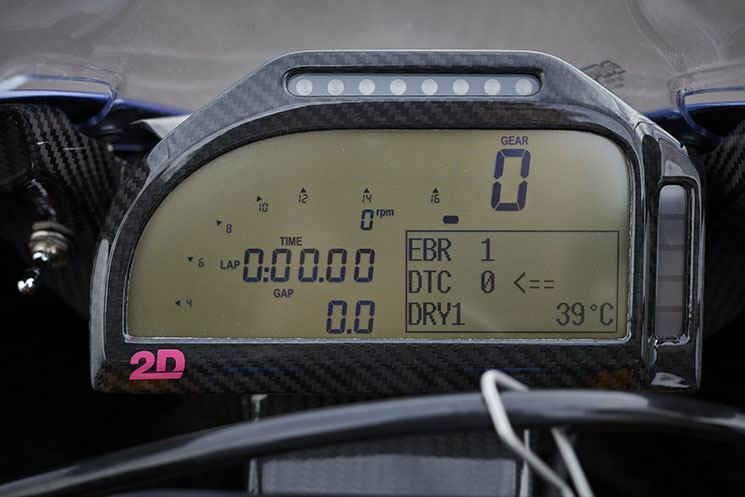 The dashboard of the S1000RR gives way to a new 2D racing board, which shows the values previously set in the box as oil pressure, fuel, water temperature, revs, chosen driving mode, DTC status and EBR, time per turn … The controls are also new, identical to those used in the WSBK, with colored buttons to change the driving mode, modify the level of the DTC or EBR and activate the pit limiter. 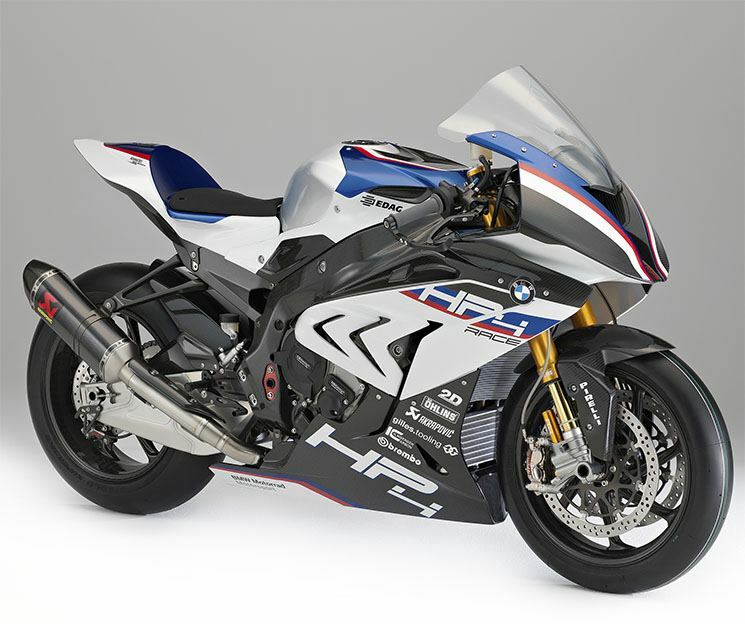 The new and exclusive BMW HP4 Race will be available in the second half of 2017 in a limited number of 750 units, all of which are hand-assembled by a select group of BMW engineers and engineers. Each engine will first go through a power bank to confirm its figures and carry out a taxiing, so that pilots will not have to pre-shoot on the track. Its price? Just as exclusive as the bike: 80,000 euros.